Oily hair can be a serious hassle. 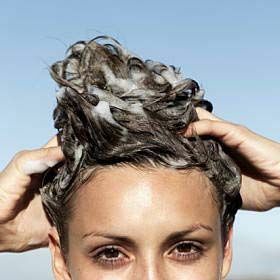 It looks greasy, your scalp gets itchy, and it’s almost impossible to keep hair looking fresh and clean. 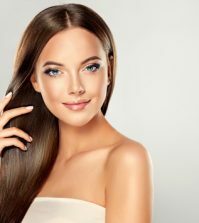 But with these 10 best shampoos for oily hair, you can put your greasy and oily days to rest and basque in a mane that is fresh, clean, and of course- luscious. Doesn’t that sound like a dream come true? Find your perfect shampoo below! 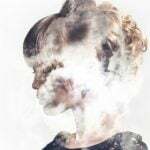 After years and years of using shampoos, conditioners, and other hair products, it’s safe to say your hair has been through a lot, and is probably covered with leftover residue that is very harmful and dulling to the hair. 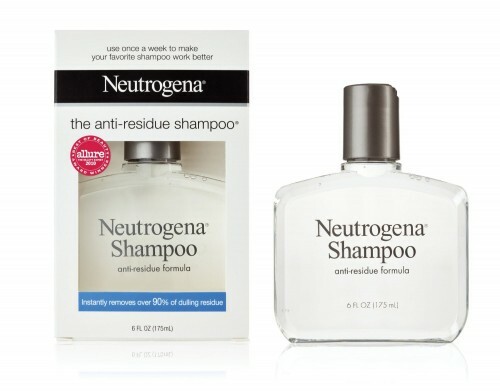 But with the Neutrogena Shampoo, Anti-Residue Formula, you can remove up to 90% of this existing residue for hair that is completely revitalized and fresh- not to mention totally free of oils and grime. It strips the hair of this damaging residue, and thus is perfect for people with oily locks. Plus it’s only around 10 bucks per bottle- you can’t beat that! Degrease Moisture Control Shampoo is a miracle in a bottle. It is uniquely formulated with all the right ingredients to not just coverup your oil and grease problem for the day- but cure it. The infusion of amazing ingredients including french cypress, lemon, rosemary, and basil ensures your hair is fresh and squeeky clean. 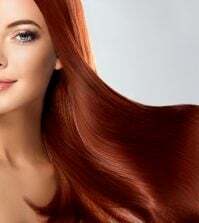 It has proven itself to be the solution for hair that is excessively oily, greasy, and itchy, and users rave about how silky smooth and luscious their hair becomes. Definitely a product to try for less than 20 dollars a bottle. 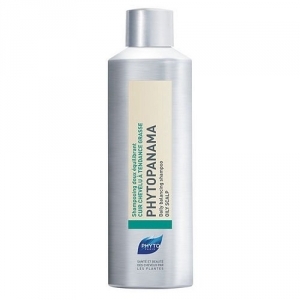 If you’re only struggling with a minimal amount of grease, PHYTO Phytopanama Shampoo is highly recommended. This superb product includes some top-of-the-line ingredients designed to keep hair clean, fresh, and revitalized- completely free of any oil or grease. Users love the inclusion of panama wood which completely rids the hair of impurities while the coconut oil keeps hair smooth and lush. Definitely worth the 24 dollars! Tight on a budget and don’t have much to spend on hair care products? 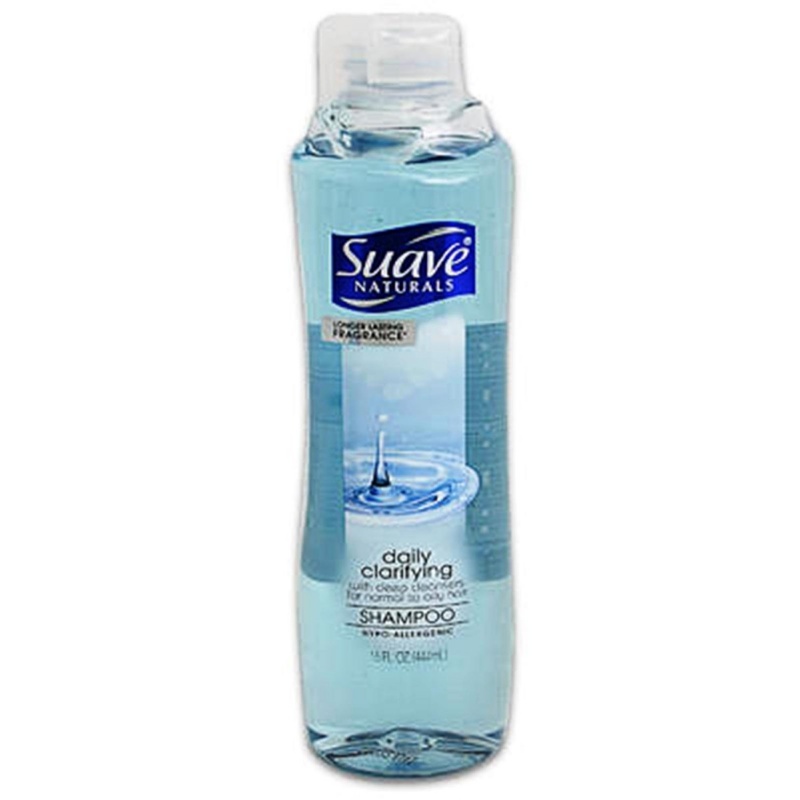 Then Suave Daily Clarifying Shampoo is definitely your answer. For around 5 bucks you can pick up this product online or at a local store, and you’ll love the way it works on your hair. The ph-balanced formula makes sure hair is deeply cleansed and moisturized. Bringing out the natural beauty of your hair, this product certainly earns the 4 and a half stars it received from happy users. The American Crew Daily Shampoo for Normal to Oily Hair is nothing short of wonderful. It includes some incredible ingredients that your hair will love: panama bark which is great for thoroughly cleansing the hair without stripping strands of much needed moisture, wheat protein to give your hair strength and a sensational boost in shine, and rosemary and thyme which both work to tone and moisturize. Altogether, this product is a must-have for those suffering with a little too much oil. Invigorating, cleansing, and moisturizing: that’s just 3 ways to describe this genius shampoo from Paul Mitchell. 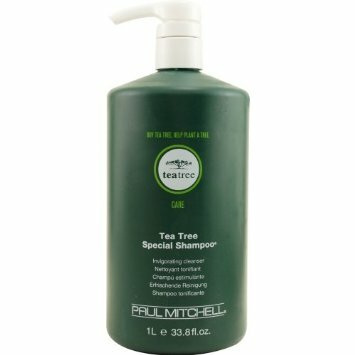 But what exactly sets this Paul Mitchell Tea Tree Special Shampoo apart from its competitors? We’ll tell you: with the unique combination of tea tree oil, peppermint, and lavender, all 3 of which are designed to completely cleanse the hair and provide an invigorating experience that produces vibrant and stunning hair that can’t be missed. Not to mention the smell of these 3 ingredients combined is simply amazing. It feels great on the hair and you will certainly notice your hair feeling much cleaner and oil free for quite some time. Worth a shot for only around 10 bucks! 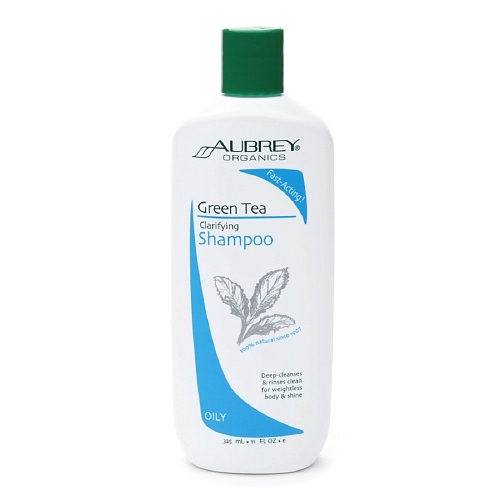 With 4 out of 5 stars and a surplus of positive customer reviews, we couldn’t pass up Aubrey Organics Green Tea Clarifying Shampoo. This particular shampoo for oily hair is different than the rest. While it does have one of the typical ingredients tea tree oil for utmost cleansing, it also includes nettle extract for hair protection and the toning of the scalp, organic aloe to nourish and moisturize your locks, and almond protein, which not only strengthens frail hair but also restores fullness. The result? Oil free hair that is gorgeously smooth, thick and lustrous, and strong enough to withstand the elements. We think this is a golden product for only around 10 dollars a bottle! Dealing with hair that is consumed by oil, incredibly thin, and just downright limp and lacking luster? 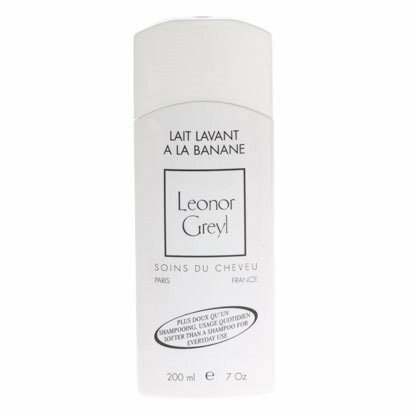 Then you need to get your hands on Leonor Greyl Lait Lavant A La Banane. This sensational product is certainly different than the others, made with a base of banana milk with essential proteins, collagen, and banana tree sap. Together these ingredients give your hair a serious boost in softness and volume, resulting in hair that is bouncy and full. It’s a gentle cleansing shampoo and can (and should be) used every day for optimal results. If you want oil free, thick, and totally vibrant locks, we recommend Leonor Greyl Lait Lavant A La Banane for only 28 dollars. 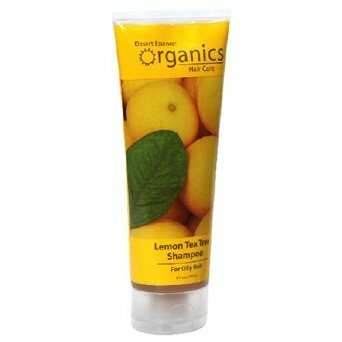 Desert Essence Organics Hair Care Shampoo, Lemon Tea Tree Shampoo is undoubtedly one of the best. But why? We see the words ‘tea tree’ again. That isn’t so special, right? Well, this particular shampoo doesn’t just sport the powerful and essential tea tree oil that is necessary for seriously clean and beautiful hair- this shampoo has leptospermum petersonii oil, which is a certain species of tea tree oil with a fabulous lemon scent and antiseptic qualities. That, combined with moisturizing coconut oil and other sugar cleansers, provides a gentle yet extremely effective cleanser that keeps your hair oil and hassle-free. Plus it’s only about 23 bucks! 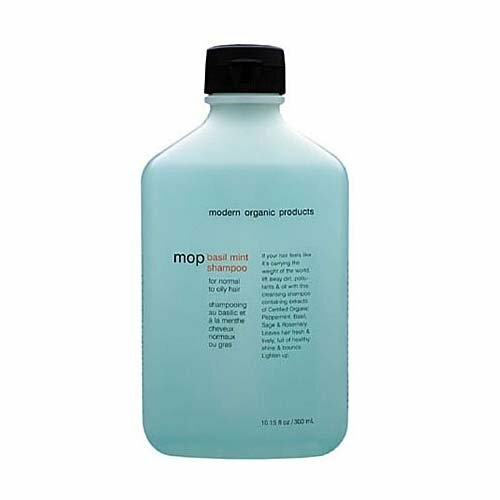 There is something about this Mop Basil Mint Shampoo that we just can’t get enough of. Could it be its wonderful aroma? Could it be the cleansing quality thanks to the peppermint, basil, sage, and rosemary? Or could it be the lively, shiny hair it leaves us with? We’re thinking it’s all three. And for only 10 dollars a bottle, we can’t help but love this gem of a shampoo. Definitely worth a shot if you’re struggling with greasy locks that just won’t quit! You don’t have to struggle with greasy locks that are limp and unmanageable. Whether you crave the lovely lemon scent of Desert Essence Organics Hair Care Shampoo, Lemon Tea Tree shampoo or need a degreasing machine like Degrease Moisture Control Shampoo, you’ll soon be on your way to flawless locks that are oil free and looking fab. Even if you’re on a budget you can certainly enjoy one of the above mentioned shampoos! Those with oily hair: what is your go-to shampoo that always does the trick? Thanks for sharing this list of products. I have a question, I have perfume allergies. Can I still use it on my scalp to get rid of excess oil on scalp? Thank you for sharing your supportive comment. If you are aware as to what you are allergic to, then you will find great benefit in abstaining from using that product. There may be some shampoos that cause irritation, while there may be others that do not. Have a great day, Donna! Thanks for sharing this list of products. I have a question, I have perfume allergies. Can I still use it on my scalp to get rid of excess oil on scalp? Thank you for sharing your insights and experiences. You have attempted to use a variety of products. Perhaps you will find benefit in speaking with a medical professional. Have a great day, Thomas! Hello Thanks for sharing your opinion. 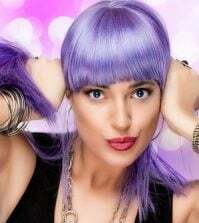 How we can take care of our Hairs and how we can make our hairs shiny? Thank you for sharing your supportive comment. This article will address any questions that you may have. Have a great day, Terry! I have a really oily scalp . thanks for the tips, A very helpful article as usual but my hair’s dry and frizzy so maybe I’ll try either olive oil or those other brands you mentioned. TBS sells tea tree oil as well too, right? Thank you for sharing your supportive comment. We always appreciate when members of our community share their insights and experiences. It is certain that you will support other members of our community. Have a great day, Kelliflores! Very informative list of shampoos but Can I use olive based shampoo or will it still be counted wrong? I confused regarding the use of olive oil based products. Olive oil has been used throughout history. If you feel as though olive oil is what you would like to use, then use it. Look at what options are available. Please share your insights and experiences in the future. Have a great day, Rena! Hey Michelle, Thank you for sharing this guide about oily scalp. I am currently facing oily scalp problems. But the tips and remedies that you mentioned it are quite helpful to me. Thanks for sharing keep updating. Thank you for your recommendation. 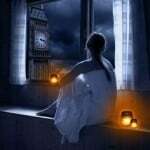 It is certain that your insight will help someone in the future. Feel free to share more of your ideas in the future. Have a great day, Kathy! I tried Desert Essence but it didn’t moisturized my hair like I wanted to. Maybe is because I have a lot of curls, but I switched to treetotub products to try the infamous soap nut I keep hearing and it works miracles. I buy their special offer of body wash and shampoo because it’s a lot cheaper. Also If you didn’t know, there’s this app called Think Dirty that helped me getting started with selecting my natural and toxic free body care products. Hoped this helped. Cheers! Thank you for sharing your experience and insight. We always appreciate our readers sharing their ideas with our other readers and giving us feedback on our articles. Thank you for remaining positive and feel free to share anything on your mind in the future!